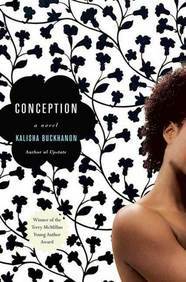 Kalisha Buckhanon is the author of the novels Solemn, Conception and Upstate. Her writing awards include an American Library Association ALEX Award, Friends of American Writers Award, Illinois Arts Council Fellowship, and Terry McMillan Young Author Award. Kalisha’s work has received attention in major media outlets such as Essence, The Guardian, BBC-London, TV-One, People, Elle, Entertainment Weekly and Marie Claire. She has been a commentator for television shows on ID Channel, TV-One and Black Entertainment Television. She has an M.F.A from The New School in New York City, and her B.A. and M.A. in English from University of Chicago. Her short stories are widely published in many online and university print literary journals including University of Michigan’s Michigan Quarterly Review, San Diego State University’s Fiction International, University of Kentucky’s pluck! Journal of Affrilachian Arts & Culture, and New York University’s Black Renaissance Noire. Her articles and essays appear on several popular women’s blogs and cultural websites, including SheKnows.com where she is an “Experts Among Us” for culture and society. She writes at her blog Negression.com. Places she has been a special guest include University of Chicago’s Emerging Writers Series and Gender Studies Department, Northwestern University’s Lane Humanities Series, New York University’s Institute of African American Affairs, University of Arkansas’s English Department, Chicago Public Libraries, New York Public Libraries, Brooklyn Public Library, Free Library of Philadelphia, National Council of Teachers of English and the American Library Association Annual Conference. Solemn Redvine is a precocious Mississippi girl who senses a nearby baby may be her half-sibling: the outcome of her father's mistakes with a married woman who lives in their trailer park. After Solemn witnesses a man throw the baby down a community well, she struggles to understand the event, leaving her forever changed. 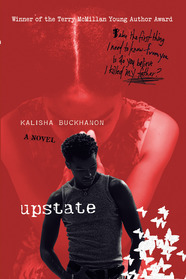 In the same vein as her critically acclaimed debut novel, Upstate, Kalisha Buckhanon again shares an emotionally beautiful story about today's youth that magnifies the unforgettable power of hope and the human spirit. Startling, real, and filled with raw emotion, Upstate is an unforgettable coming-of-age story with a message of undeniable hope. Brilliant and profoundly felt, it is destined to speak to a new generation of readers. The Spirit of Writing Kalisha Buckhanon draws on her own personal history and relationship to writing, as well as words from prominent writers and texts, to provide ideas on how writers of all levels can turn their gifts and ideas into tangible forms. Negression Buckhanon provides insights into history, current events, conditions, and artforms of black America in general with particular emphasis on African-American women’s concerns, contributions, and cultural production. 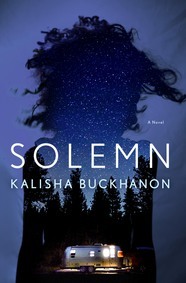 Read The Washington Post’s review of Solemn. Check out a feature on Kalisha Buckhanon on The Guardian. Learn more about Kalisha Buckhanon on her website.